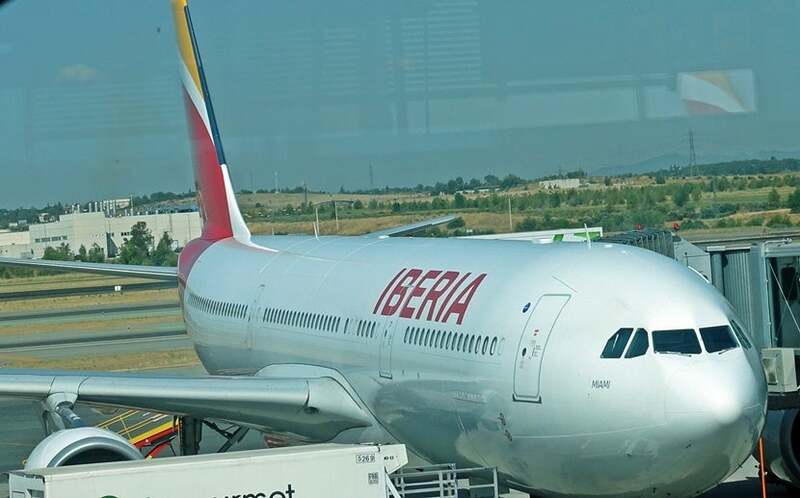 Iberia provided a comfortable and affordable way to fly between the US and Europe, especially aboard its A330-300. The Pros: Low prices, delicious meals and solid in-flight entertainment. The Cons: Rude staff at the check-in desk. I needed to get to New York (JFK) for business meetings and was looking for an inexpensive ticket from Madrid (MAD). 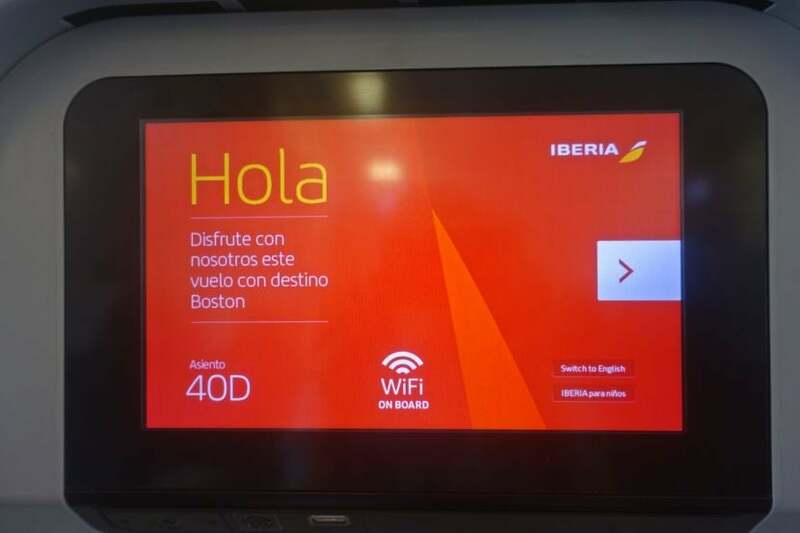 I ended up finding one on Google Flights, which led me to American Airlines, though it turned out the Madrid-to-Boston leg of my trip was being operated by its partner airline, Iberia. 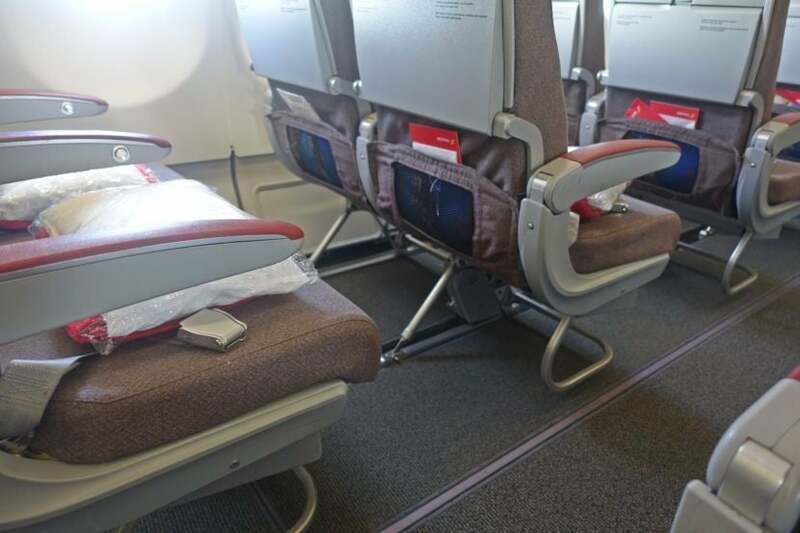 Here’s what it was like to fly in coach aboard the carrier’s A330-300. 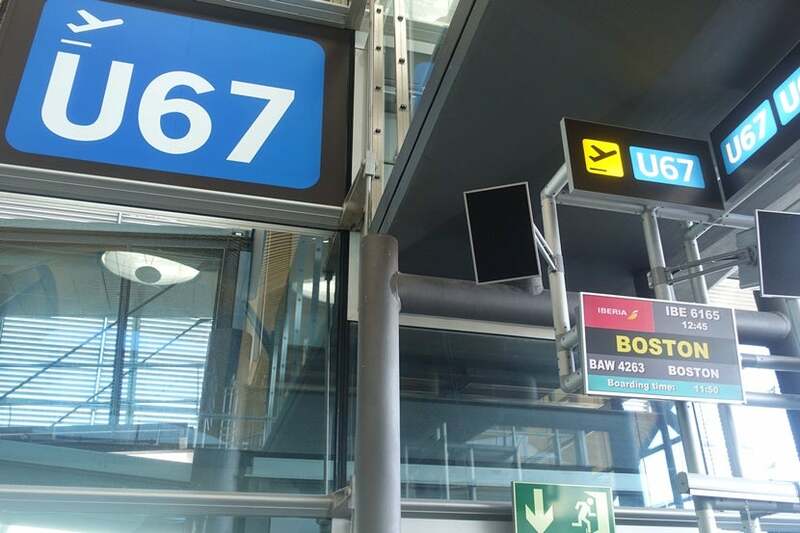 My ticket was cheap, a round-trip economy flight for $550.79 from Madrid to New York via Boston (BOS), with a nonstop return trip from JFK. I paid with my Chase Sapphire Preferred Card (I didn’t have a Chase Sapphire Reserve Card at the time) so I’d earn 2x points for the travel purchase — the Reserve would have given me 3x points though. This portion of the flight only got me 1,705 EQMs thanks to AA slashing partner earnings — the funny thing is I was able to earn 500 EQMs from the 45-minute flight from BOS to JFK since it was operated by AA. Needless to say, flying partner airlines and banking the miles with American may not be the best way to maximize your AAdvantage miles. Next time, I’d consider banking a trip on Iberia to British Airways Avios instead. I tried to check in online the day before my flight but AA directed me to Iberia’s website, which said my reservation couldn’t be found even though I was using the Iberia booking confirmation code. Slightly concerned, I called and the airline representative assured me all was fine, located my reservation and said I simply needed to check in at the airport. The day of my flight, I headed to straight to priority check-in — I have elite status on American Airlines — gave the agent my passport and told her I was headed to Boston. She then dryly responded in Spanish that I wasn’t going to Boston. This isn’t the first time I’ve found the check-in attendants at the Iberia priority desk (in various countries) to be rude and unaccommodating. I showed her my confirmation and explained what had happened on the phone yesterday. She said it was likely that AA didn’t send over my reservation information to Iberia and suggested I walk over to the American Airlines desk and figure it out. I politely explained that the easiest course of action would be for her to figure it out, adding that I’d be very grateful if she could call the AA desk to speed the process along in lieu of me having to drag all my luggage around and go find it. She called for me and since the the flight wasn’t full, I was able to get a seat. Though I had reserved economy seat 12J, the aisle seat of the two-seat section toward the front of the plane, I was placed in seat 40D, which was almost at the very back of the plane in the three-seat middle section. At this point, I was grateful to have a seat on the plane but still mildly annoyed — not at the fact that my reservation wasn’t found, but by the consistently rude Iberia staff. At first, boarding seemed to move efficiently. Business and priority passengers were called, followed by groups and everything seemed to be moving at a good pace. But once we got to the end of the gangway, there was a rope preventing people from boarding the plane. The sky bridge was not air conditioned, and as it was almost 100°F that day in Madrid, standing there for about 10 to 15 minutes quickly became unbearable. Finally, we were able to board and I headed all the way to the back of the aircraft to find my seat. 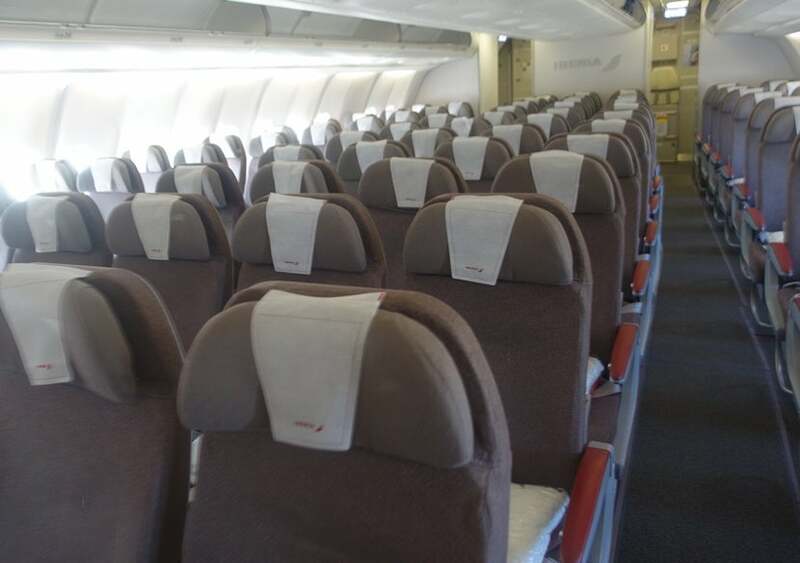 This version of the A330-300 had 36 flat-bed Business Plus seats and 242 Tourist (economy) seats. 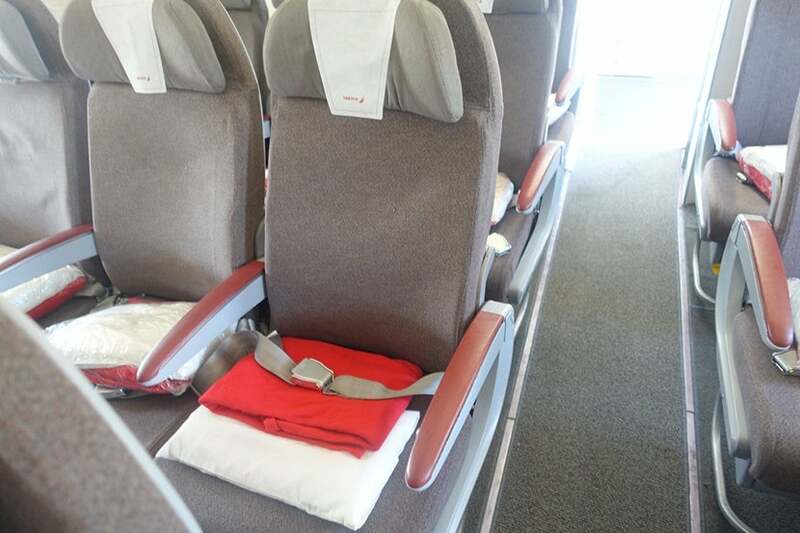 The cabin itself had gray seats that looked fairly new and modern. The aircraft seemed updated but boring in terms of design and style because its color scheme was so subtle. 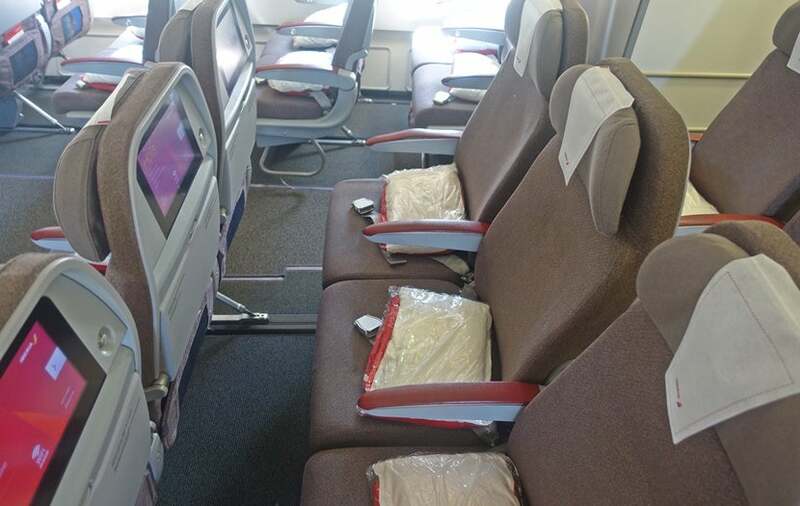 The business class was configured in a 1-2-1 layout, while the economy-cabin arrangement started off at 2-4-2 but then changed to a 2-3-2 style from row 39 to row 42. I was in an aisle seat and because there was no one sitting next to me in the middle seat, I had more space to move around. The economy seats were decently sized — these definitely weren’t the smallest seats I’ve ever been in — and the amount of legroom worked for me. When the seat in front of me was reclined, I will still able to pull out my tray table comfortably. 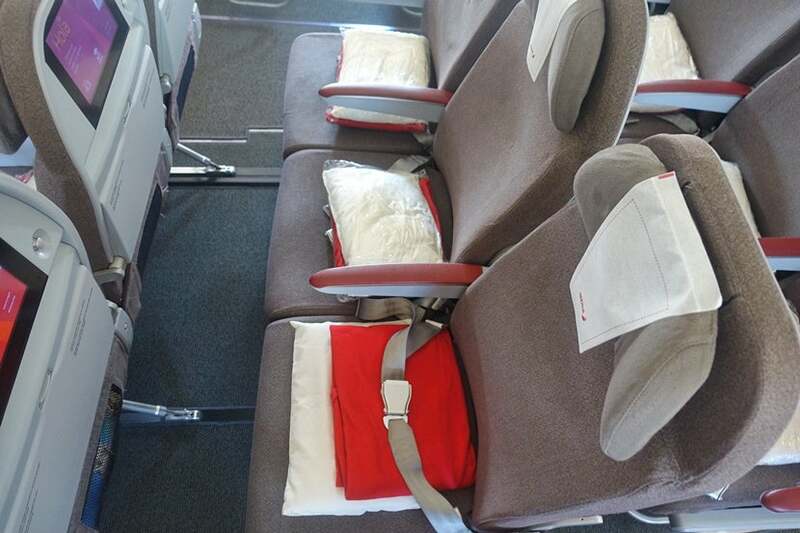 Economy seats had a pitch of 31 inches, were 18.1 inches wide and each came with a pillow, blanket and adjustable headrest. The plane was almost full so I was lucky to have an empty seat next to me — after all the drama at check-in, I figured I deserved it. There was only one bathroom in the back of the plane and four more located in the middle of the aircraft. 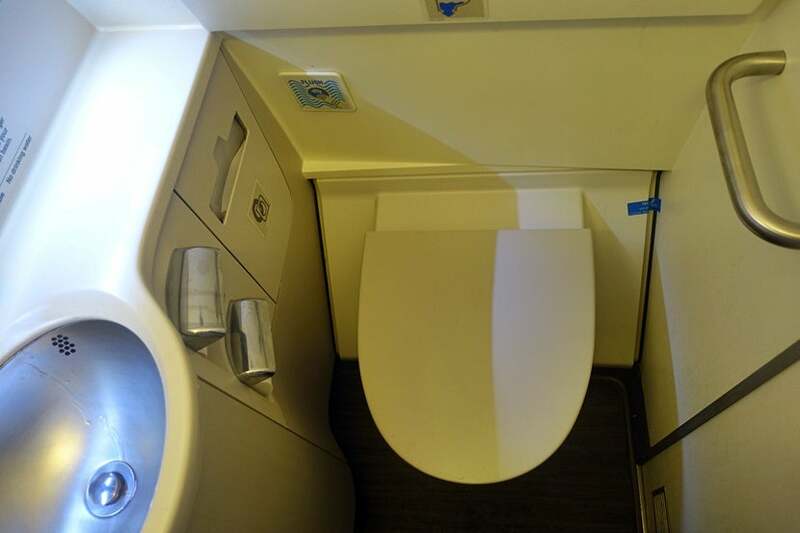 As far as airplane lavatories go, they were fairly typical. 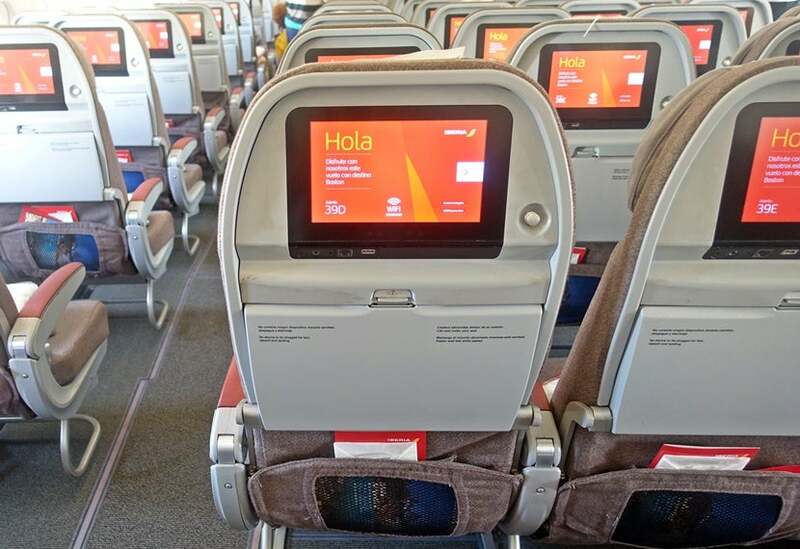 The IFE screens on Iberia have definitely improved in the past year or so, both in terms of responsiveness and the quantity of programs available. There were plenty of movies, music, TV shows and games to choose from, and in a variety of languages. The movies and shows were fairly new and there were a number of older films as well as international titles on offer. There were no remotes, but the touch screens were responsive. Even during severe turbulence, the screens continued to work and entertainment was available the moment we boarded. There were two outlets underneath the seats in our row of three and USB ports at every seat. Flight attendants also came around offering earbuds, but since the headphone jacks had a single plug, I was able to use my own, which I much prefer. The food on the flight was better than your usual economy fare and I think Iberia has really stepped up its game. 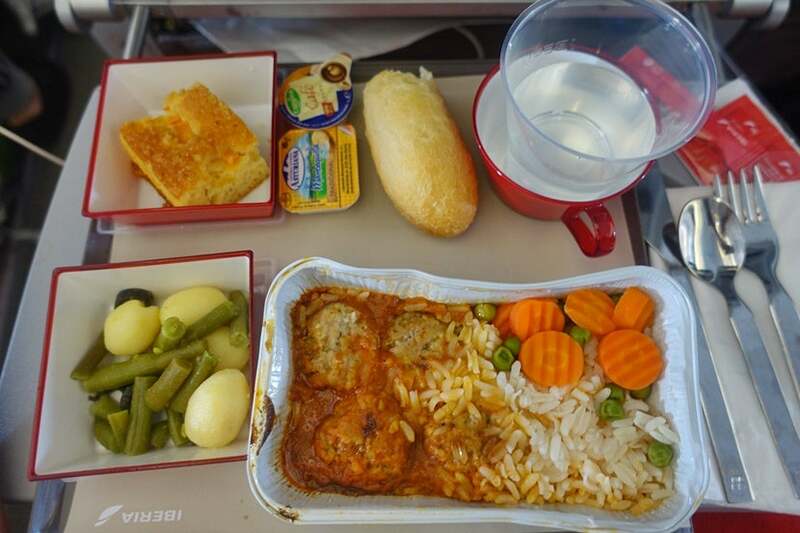 Unfortunately, there was a lot of turbulence that lasted several hours so lunch was served much later into the flight than it normally would have been. The FAs attempted to serve us meals several times and had some success, but then would have to sit down again and stop service altogether. Because I was sitting in one of the rows in the very back of the plane, I didn’t receive mine until about four hours into the flight. There was only one meal choice left by the time they reached me — meatballs with rice and vegetables. The meatballs were surprisingly tender and flavorful, while the vegetables weren’t too soggy. The salad consisted of cold potatoes and green beans, which wasn’t bad. The cake I had for dessert was dry and nothing special. The small roll with butter was a bit hard. Wine and beer were available, but after all that turbulence I just wanted some water, as I was feeling dizzy from it all. 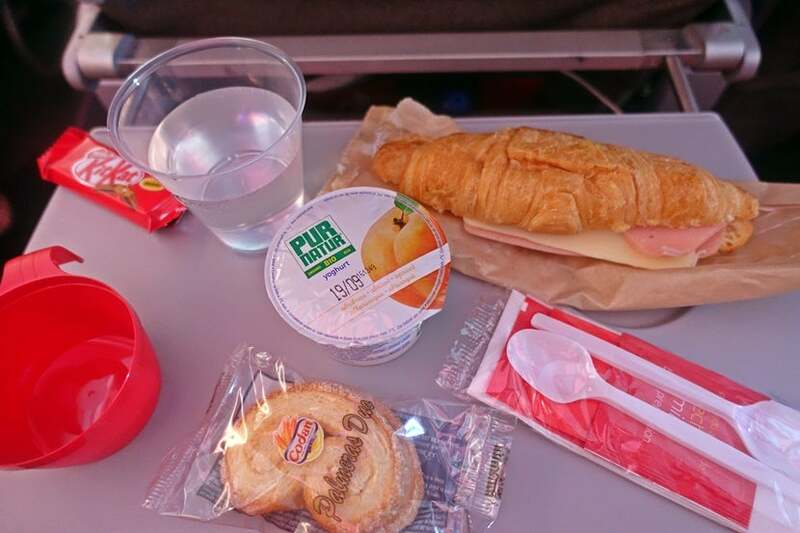 Before landing, we were served a small snack: a ham and cheese croissant, yogurt, a Kit Kat bar and cookies. The croissant was fresh and delicious. The flight attendants were friendlier than the ones I’d had on previous trips with Iberia. They seemed sympathetic to passengers struggling to cope with the severe turbulence, offered water once things calmed down and checked on those who had been experiencing motion sickness or dizziness during the flight. 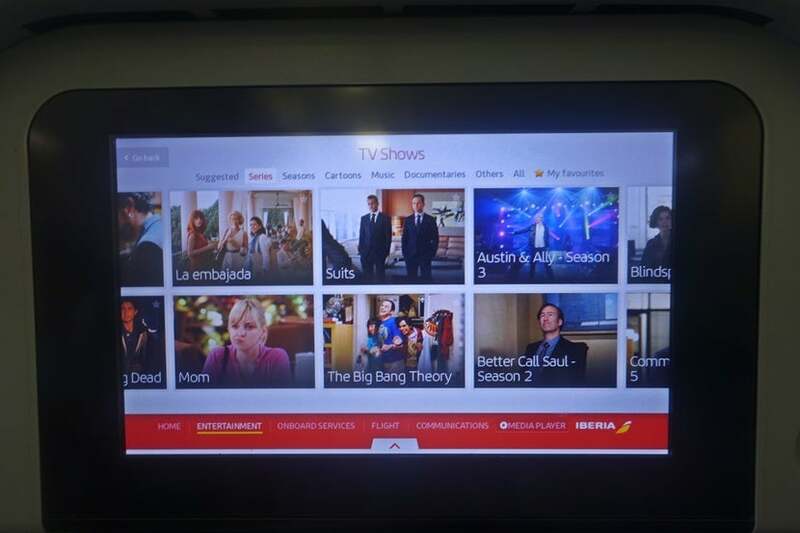 Iberia seems to have upped its game a bit when it comes to food and entertainment. The planes and seats were about average, with a basic but comfortable amount of legroom. This flight was extremely turbulent, however, so it was hard to enjoy the food or seats when there was so much rough air. While I appreciated the flight attendants’ kindness toward passengers who had a rough time during the turbulence, I do think Iberia needs to retrain its check-in attendants, especially those who work at the priority desks. Their complete lack of helpfulness — and even rudeness — toward passengers is uncalled for, and it’s not the first time I’ve experienced this treatment from the airline’s representatives. Lori Zaino is based in Madrid and is a fluent Spanish speaker. 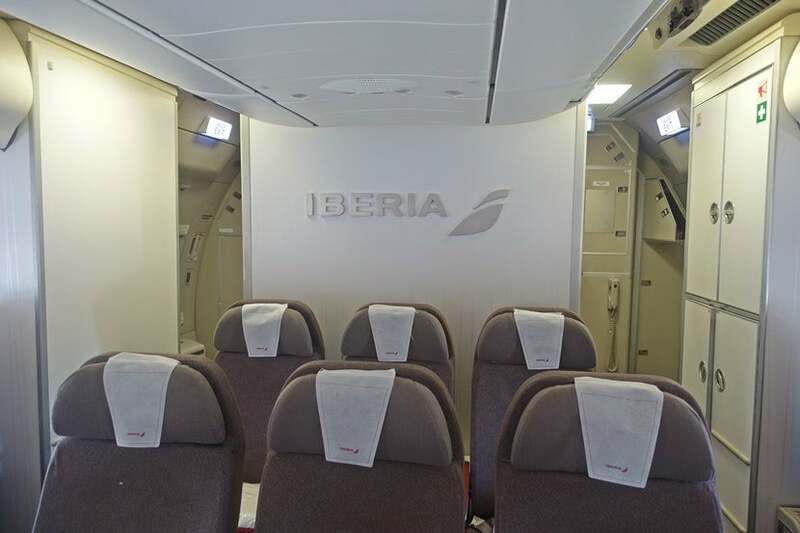 Have you ever flown in economy on Iberia’s A330-300? Tell us about your experience, below.